We are loving it. 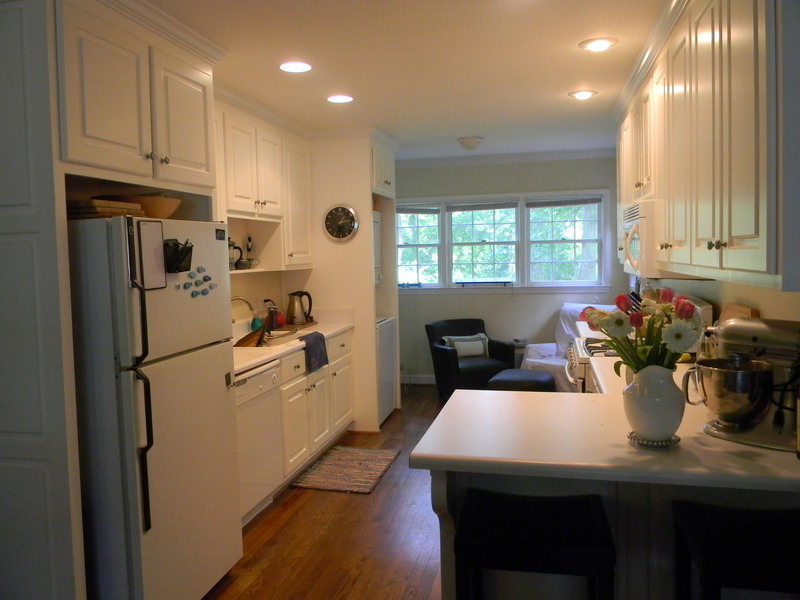 The kitchen is bright and spacious, and we even have a little nook we call The Snuggery where we sip coffee and tea in the morning, cocktails in the evening, and ponder recipes with our feet up (notice the cookbooks!). 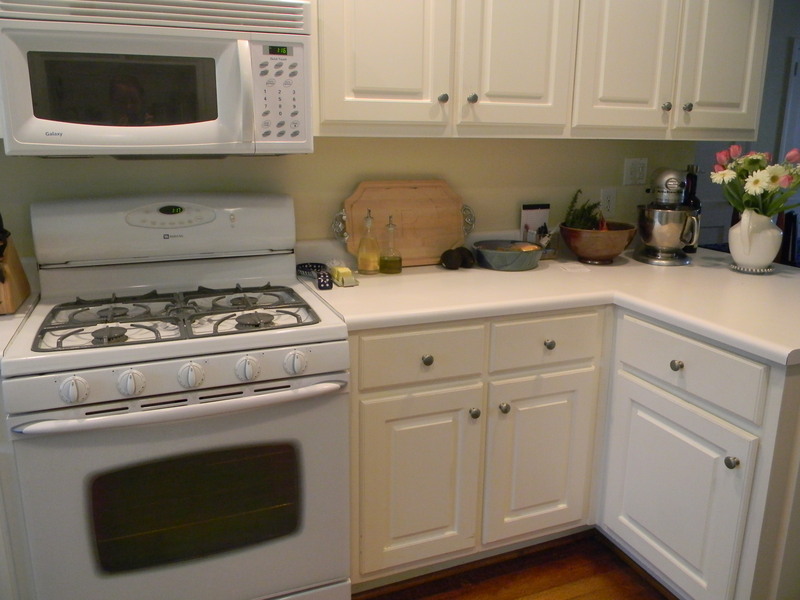 Gardner's favorite - the 5-burner gas range! It’s all been really fun. 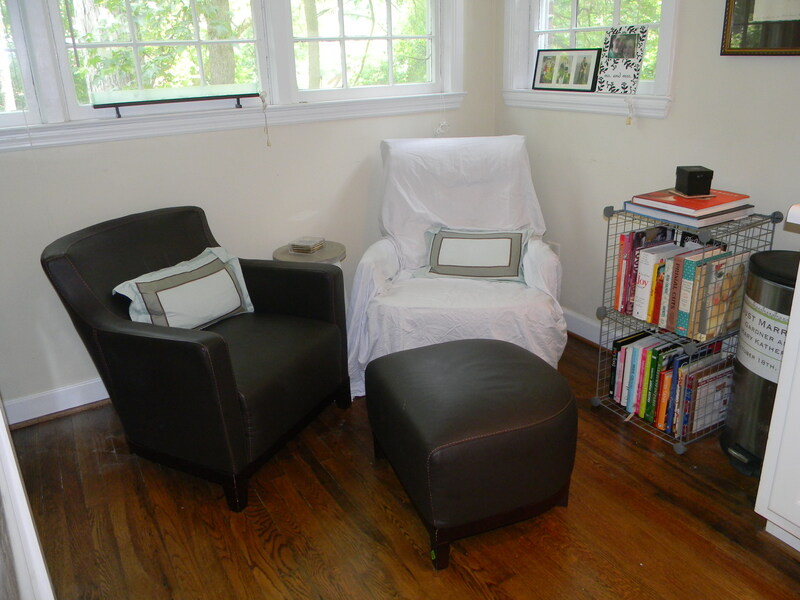 The rest of the house looks pretty nice, too, but I’ll save those pictures for later. This is supposed to be a FOOD blog, after all. For our first “real” dinner in this kitchen, we made a three-course meal: Caprese Salad with Heirloom Tomatoes, then Mushroom and Brown Butter Pasta, and finally, Seared Scallops with a Cherry-Tarragon Sauce. Since we’ve posted Caprese salads in the past, I won’t post another one (look here and here)…but I will take a minute to tell you about the yummy oil and vinegar we used for the dressing. We found them at an adorable store in Rockland, Maine last summer when we were visiting family. 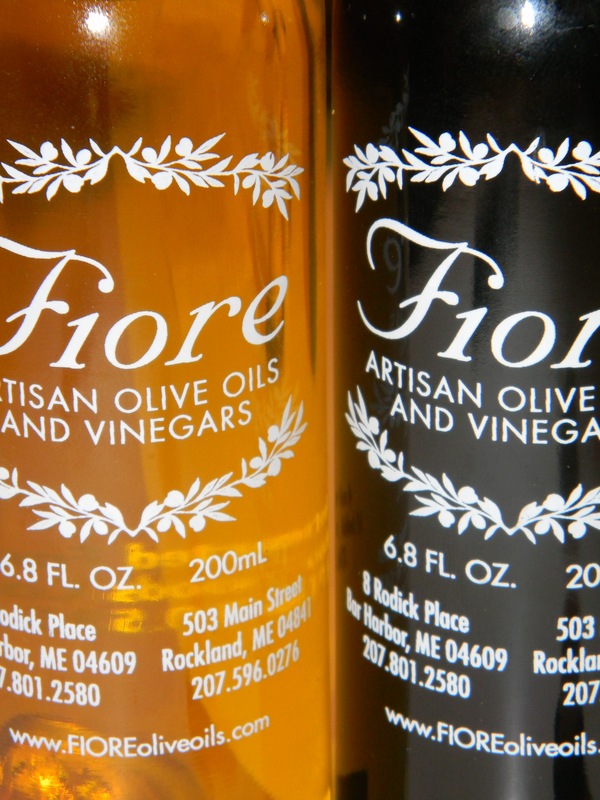 If you’re ever in Rockland, go to Fiore and taste ALL of their delicious oils/vinegars. 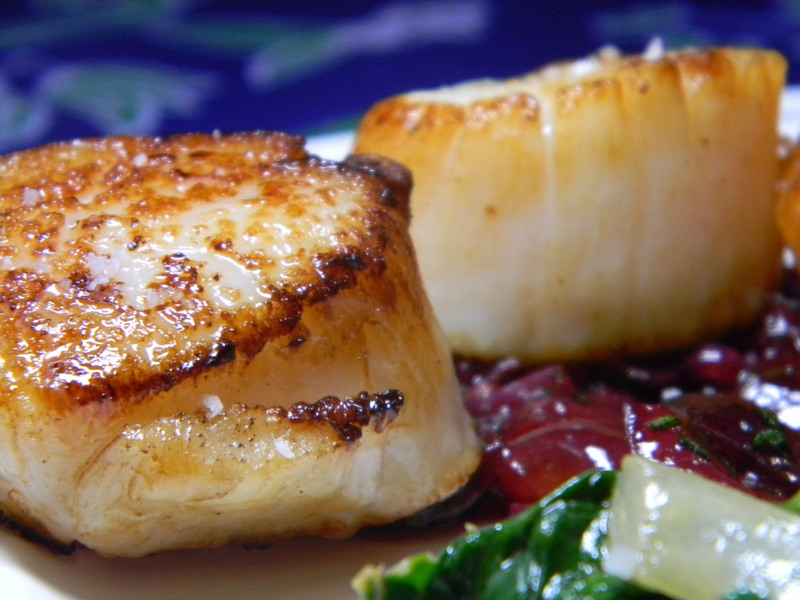 I’m going to save the Mushroom/Brown Butter pasta dish for next time…for now, here’s a scallop recipe you should definitely try. I found Fresh Bing Cherries on sale at Whole Foods (did I mention that there is a Whole Foods AND a Trader Joe’s just minutes from our new house?!) 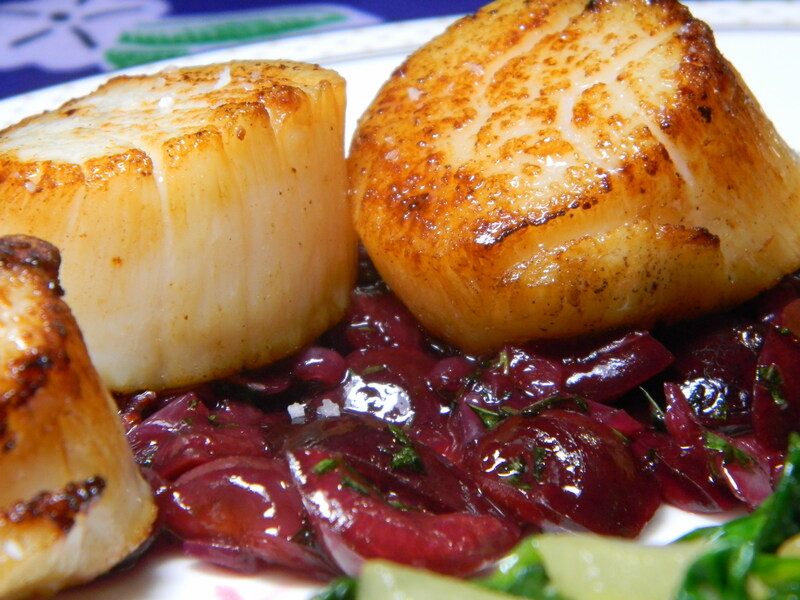 and decided to try my hand at a sauce for scallops. Any excuse to buy cherries makes me happy. The sauce is pretty simple and hands-off after you pit the cherries. We mixed in a little fresh tarragon, some butter, some rice vinegar, and some shallots, and it was scrumptious! yum..looks great. I am making your cod with peach salsa recipe tonight. Your apartment is so nice with lots of cooking room. Have you discovered Harrys yet? A great grocery/farmers market. Have fun and good luck. Yipee! First post from the beautiful new kitchen. I can’t wait to try your recipe for the cherry-terragon sauce with the scallops.